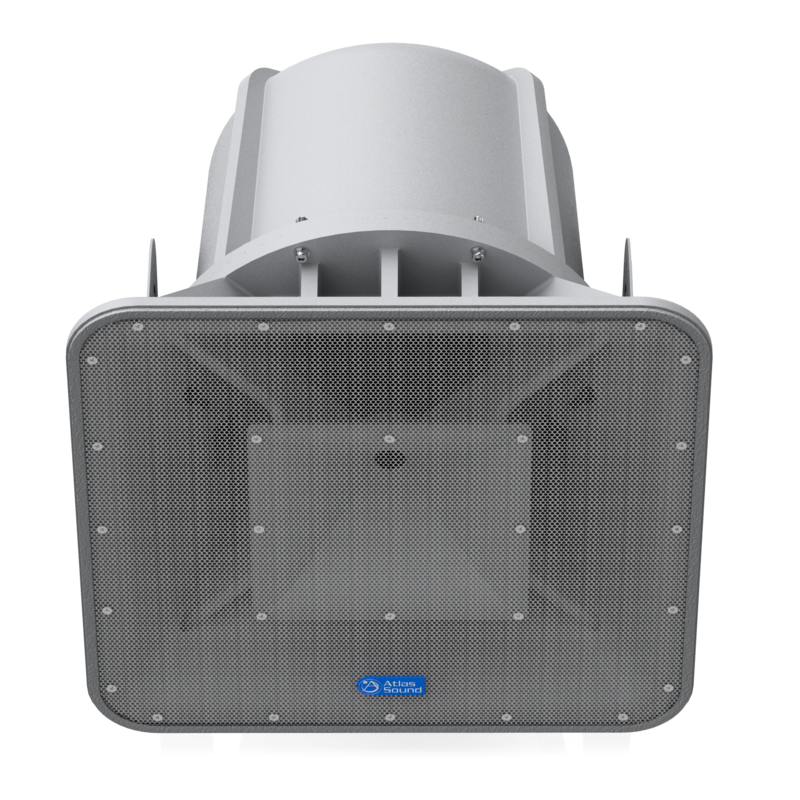 AtlasIED model AH99-8T-BSG "stadium horn" is ideal for directional sound distribution where full range reproduction, maximum intelligibility and high sound pressure levels are required. 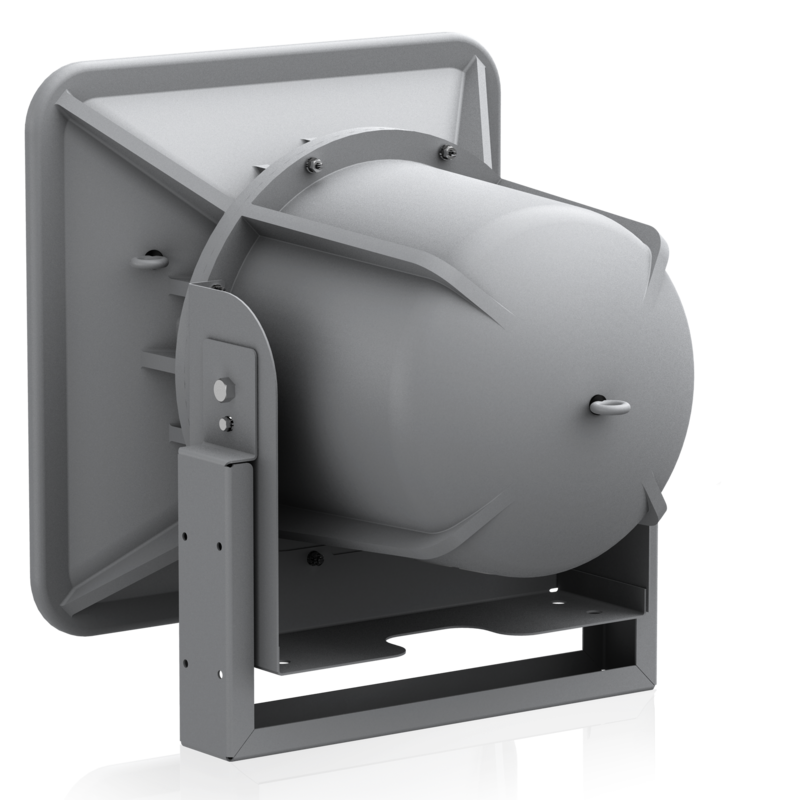 Weather resistant construction features of the AH99-8T-BSG include a multiple screen configuration to prevent moisture from damaging internal components, a perforated aluminum screen covers the large horn mouth, a secondary screen is in place forward of the high frequency driver and a third tightly perforated screen protects the 8" cast frame woofer. A "weep" hole is also included on the back of the large horn "bell" to allow evaporation of any condensation that might build up internally. 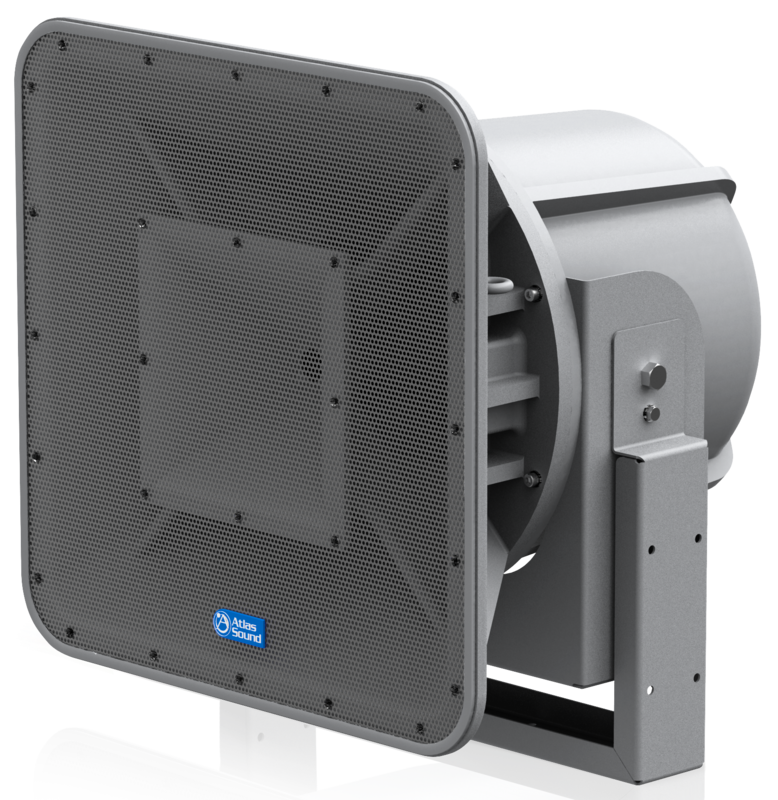 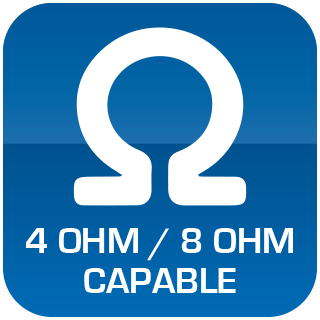 Learn more about the importance of protecting paging horns from low frequency damage and view the TSD-HF11 unit designed specifically to protect horns from low frequency damage.